While the mechanical o-ring is a very simple item, and hidden to most people, it has grown to become a ubiquitous and crucial mechanical seal component in a huge range of technology. A mechanical o-ring is made of elastic polymer (rubber) in the shape of a letter ‘O’, and provides a mechanical seal to contain liquids or gases. It typically sits in a groove, compressed between a piston and a cylinder. It is also used to seal static (non-moving) circular joints between metal components. Rubber was used by the Mayans and Aztecs for bouncy ball games, and first used by Europeans as a pencil eraser around 1770, then for clothing and footwear––but had the problem of being brittle and gumming together in the sun. In 1840 Charles Goodyear discovered vulcanization (using a Sulphur additive) by accident, which vastly improved the capability to withstand heat and pressure. This suddenly expanded rubber use in the Industrial Revolution to everyday items such as tires, hoses, shoe soles, and fan belts. Due to the supply and cost issues with natural rubber, Fritz Hofmann’s German team created the first synthetic rubber in 1909 by polymerizing Methyl Isoprene. Meanwhile, by World War II, the US had developed a huge dependence on natural rubber––consuming about half of the world’s production. A fighter plane required half a ton of rubber and a battleship 75 tons of it. FD Roosevelt set up a partnership with the big rubber companies to mass-produce synthetic rubber Styrene, at twice the output of the world’s total natural rubber production before the war. From the 50s to the 70’s, rapid developments in synthetic polymers were made leading to today’s high-performance elastomers. The very first patent for the rubber o-ring was filed back in 1896 in Sweden by J. O. Lundberg who was credited as the original inventor, but not much is known about him. Meanwhile a machinist, Niels Christensen, immigrated to the US from Denmark in 1891, and filed his own US patent in 1937 at the age of 72 (about 40 years after Lundberg). Soon after that, he also patented an air brake system for trams, but his intellectual property was passed from company to company, including Westinghouse, despite his legal efforts. In World War II, the US government commandeered the rubber o-ring patent as a piece of critical mechanical seal technology and gave manufacturing rights to various organizations. Christensen received compensation of $75,000 for his work, with further payment to his heirs much later. In the years following the war, rubber o-rings became more widely used in industry––such as farm equipment, industrial hydraulics, and automobiles. After the tragic explosion of the Challenger space shuttle in 1986, physicist Richard Feynman famously demonstrated on TV that the root cause was an o-ring failure due to low temperature. The extreme cold had caused the rubber o-ring to became rigid, losing pliability, and failed to seal a joint on a rocket booster, causing high temperature gases to blow-out. This led to a total structural failure and disintegration of the shuttle. After the disaster, NASA scientists re-designed the rocket booster with an onboard heater, keeping the o-rings up to at least 10°C––which fixed it for good. After the Challenger episode, a lot more was learned about o-ring material properties and limitations. O-rings were then typically labeled with batch, date, and manufacturer information, allowing precise tracking and control of distribution––much like products in the medical industry. Aerospace and military sectors went to even greater lengths with o-rings packaged individually with detailed material information so they could easily be recalled or tested in case of failure. O-ring performance can mean the difference between success and crisis––so they are commonly subjected to very stringent quality control procedures, with multiple rounds of QA and stress testing before release to users. Eclipse supplies and supports o-rings from the best sources in the world, using resilient materials and rigorous manufacturing processes to ensure consistent and reliable operation––especially for high-stake applications in aerospace, pharmaceutical, and semiconductor industries, along with food & beverage, energy, and automotive sectors. Want more info? 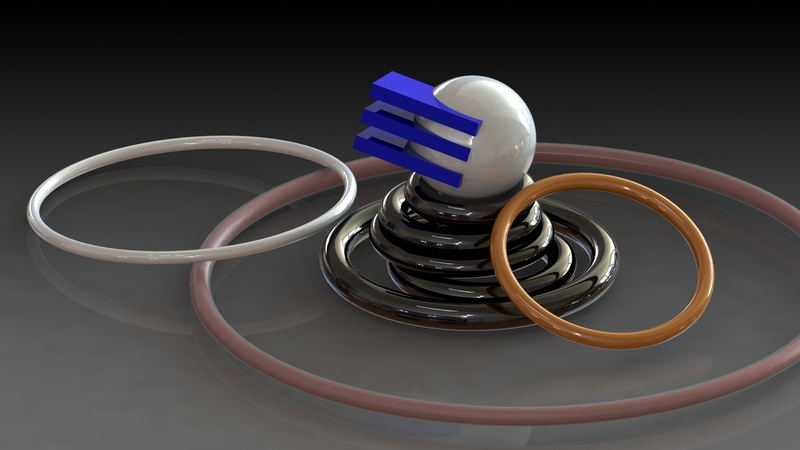 Click here for more details on the history of o-rings and their characteristics.